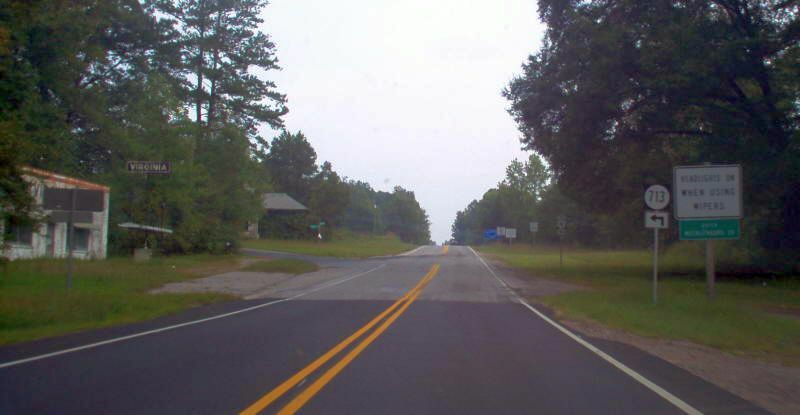 Looking North Carolina-bound on US 1. I-85 and US 401 are just ahead. Photo by Mapmikey, taken September 23, 2006. Looking Virginia-bound on US 1. 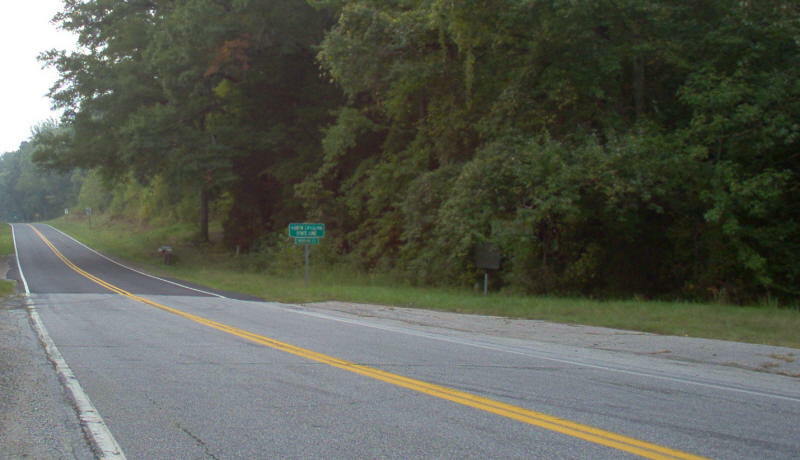 SR 713 is posted as TO 4. Also an abandoned tourist trap of some sort touting "VIRGINIA" sits to the left. Photo by Mapmikey, taken September 23, 2006. 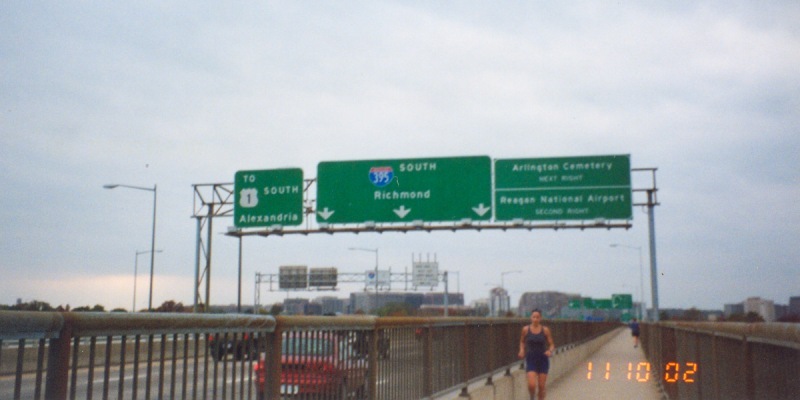 Looking Virginia-bound on the pedestrian path alongside the southbound I-395/US 1 lanes across the Potomac River. Photo by Adam Froehlig, taken November 10, 2002.